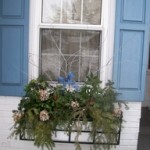 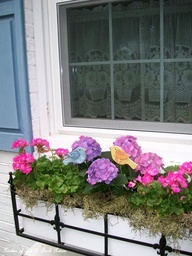 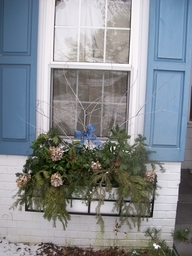 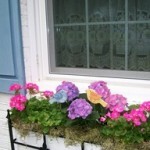 We have two window boxes at the front of the house that I change out for the different seasons. 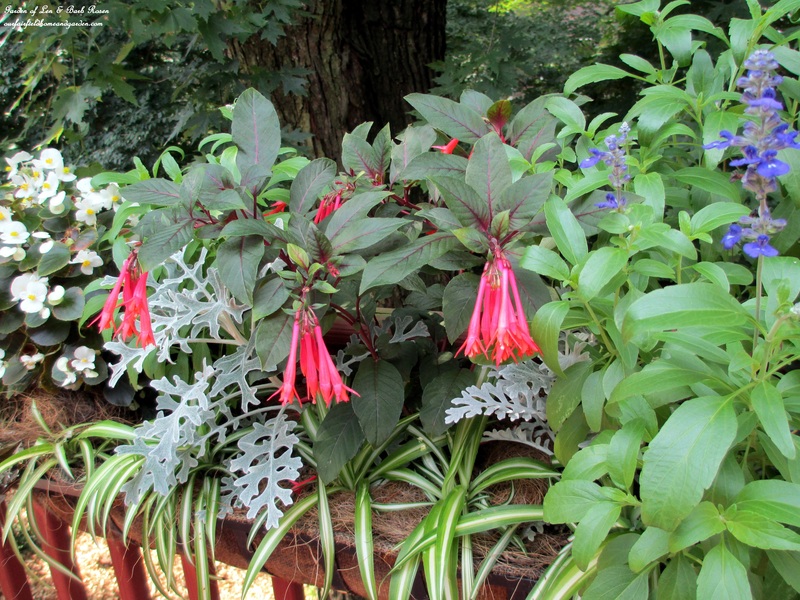 I keep the plants in medium-sized pots and switch them out to keep the boxes colorful from spring through fall. 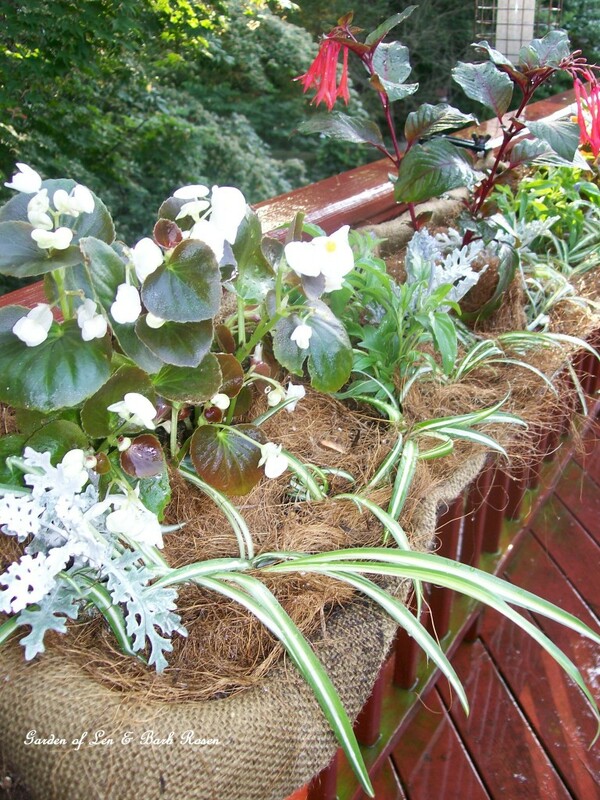 On our back deck, I also have hayrack planters each summer filled with annuals edged with spider plants!. 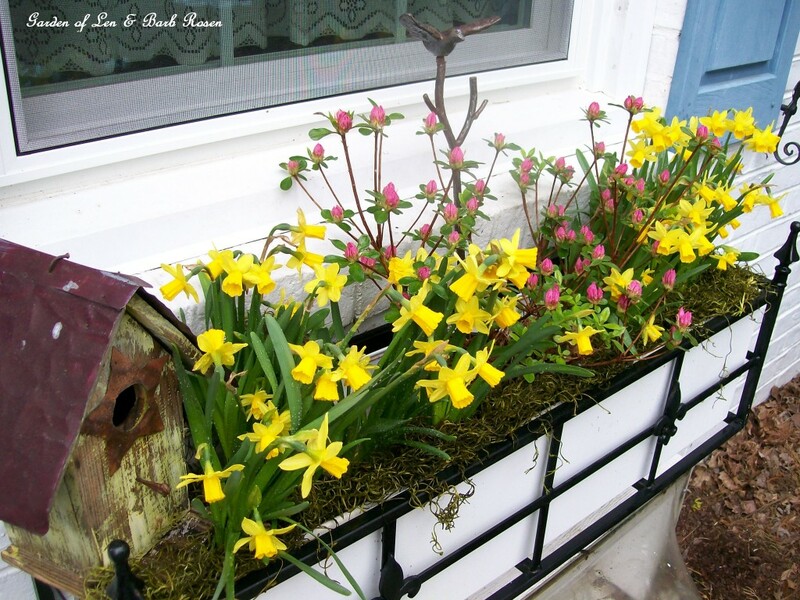 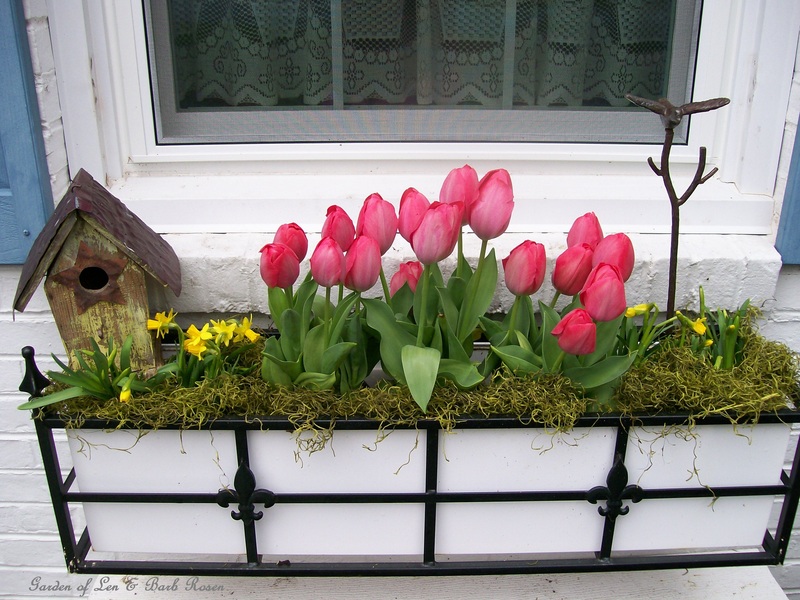 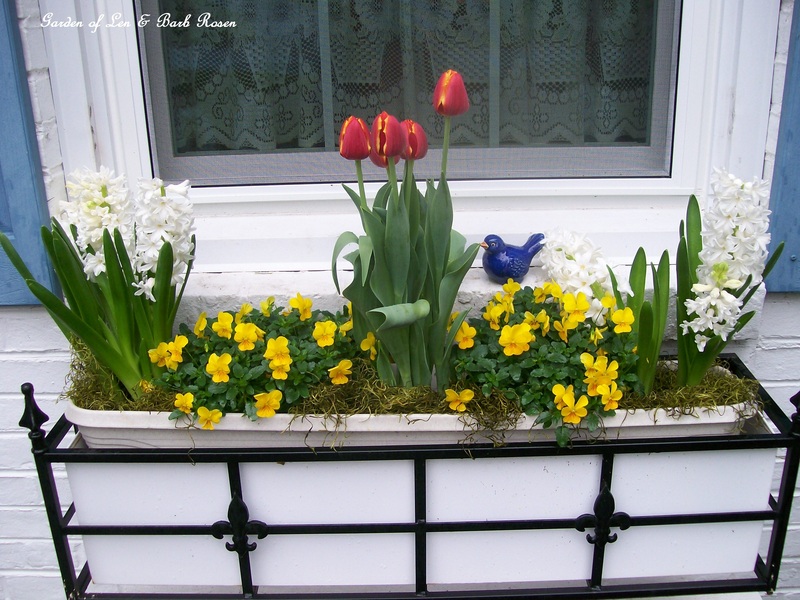 Here are some ideas for your window boxes at home! 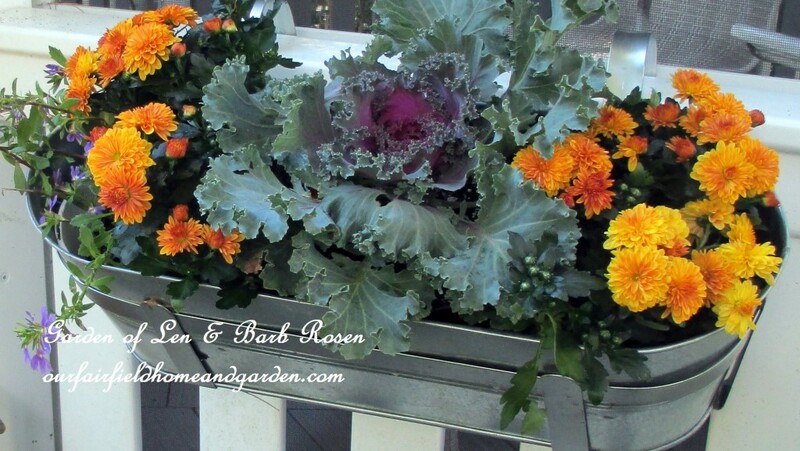 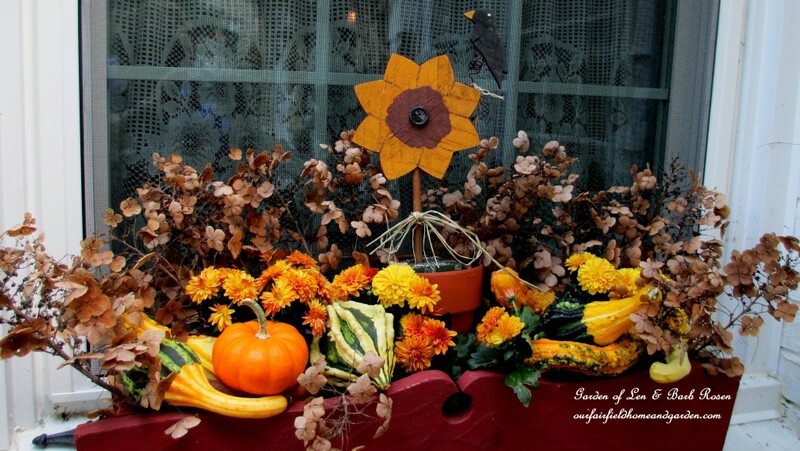 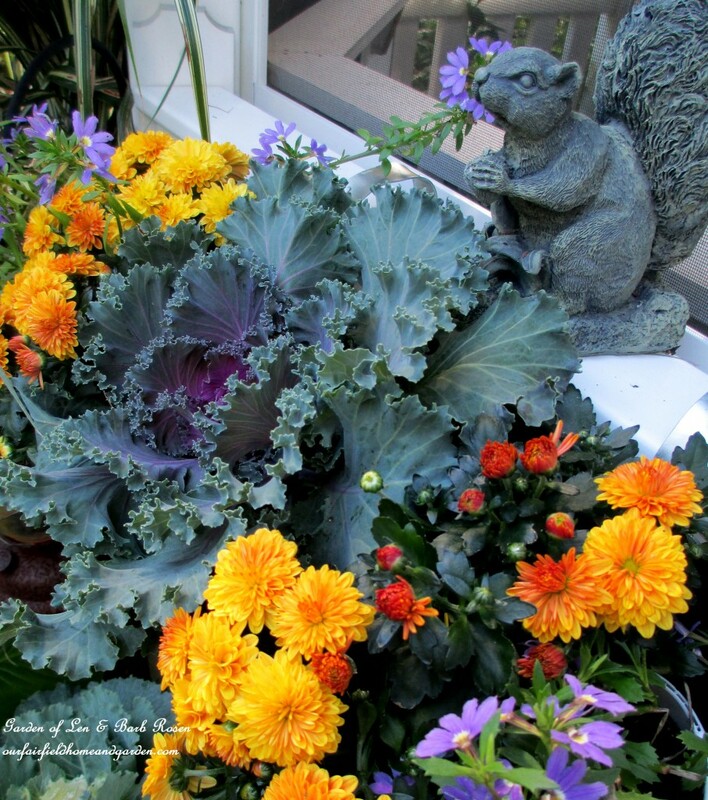 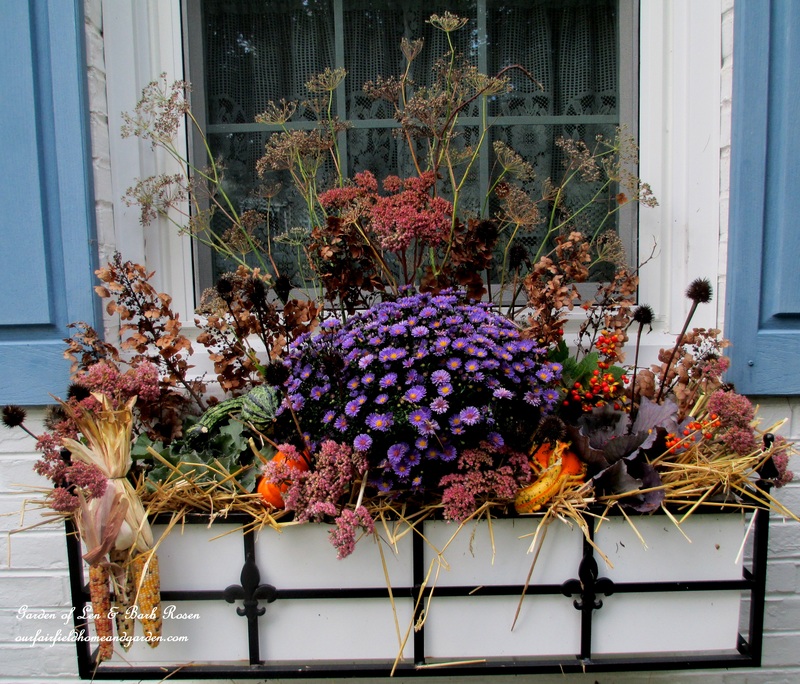 Fall Window Box using aster, ornamental cabbage, small gourds, hay and dried flowers and seed pods from the garden.